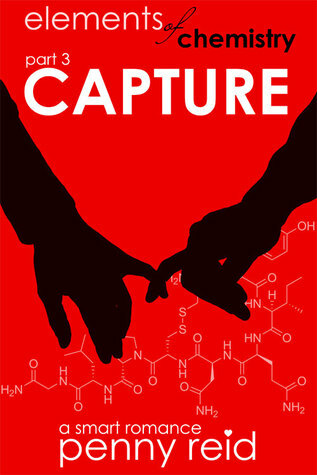 Capture starts 6 month after the drama and Kaitlyn is trying to make a new life for herself. Changing majors and doing music. Feeling for the first time she is doing what she is passionate about. One thing is missing, Martin. Although says she is over him. Deep down she knows she will never be over him and that there will always be something missing from her life. Martin has become this successful business man but not in the way we might have thought. He surprises Katy when he turns up an event where her band is playing and sure the love, lust and heartache for them both rears its ugly head. This book had all the feels and really had my heart in my throat for the whole thing. I raced thorough it wanting to know what would happen for Martin and Kaitlyn at the end of the road. This was the perfect end to the series. A perfect end to the Elements of Chemistry series.